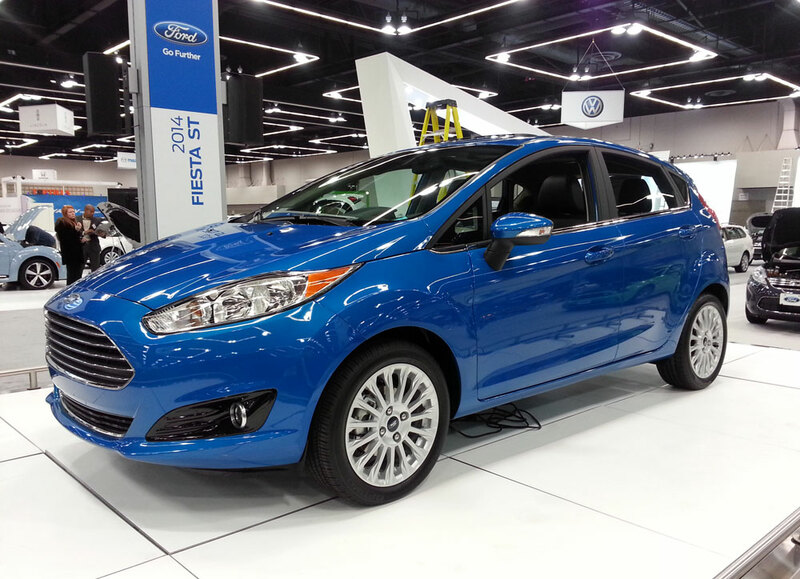 Despite the sign in the background, this is not the 2014 Fiesta ST. It is, however, a 2014 Ford Fiesta, complete with the redesigned front end, making it similar to many of Ford's other offerings. 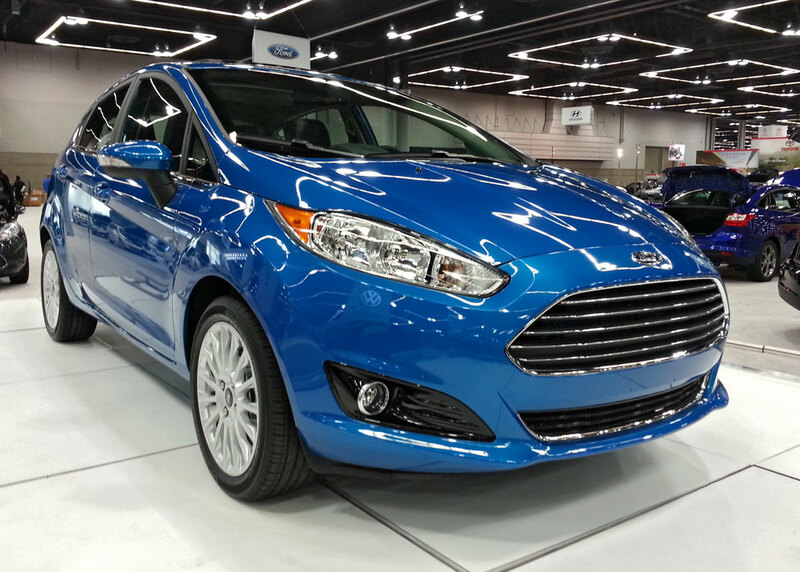 One might argue the new grille gives the Fiesta a more grown up look. On the other hand, it could be said the new grill makes it look more like a Fusion—a great car—but not a youthful subcompact. As we've mentioned before, the '14 Focus will be available with the all-new 1.0-liter EcoBoost three-cylinder engine, making it one of the highest gas-powered vehicles on the market. The current 1.6-liter engine will be the base engine, and the hot-hatch ST-only 1.6-liter turbocharged engine will also make its debut in '14. We're looking forward to both turbo options. Not bad, but I think the pics are too close or with a wonky lens or something - it looks stretched out in the first pic.